it to look like we had done it ourselves. 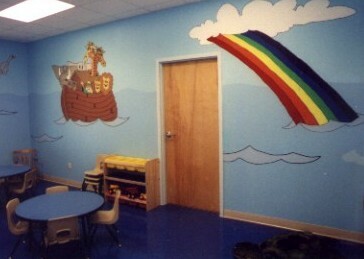 There are several places online where you can find help to theme your children’s area on your own so that it looks more professional. One is Kids Kount Publishing. Their DIY resources are now free. They offer a paint it yourself Kids Bible Village and a Kids City set on their website. The sets include transparency images, colorized images and a color palette to help you get the right colors. There are several free videos on their site to help you learn how to create your own themed environment. Kids Kount also offers free resources for making puppet stages, customs and a children’s outreach event, not to mention free curriculum. It is definitely a site worth checking out. 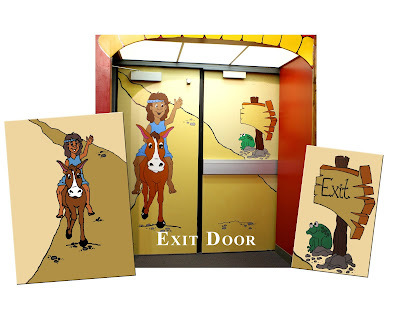 A second option, mural kits, is found at Creative for Kids. With over 50 kits to choose from you can’t go wrong here. They also have wall stickers you can buy that coordinate with the kits. They even have background only mural kits that specifically coordinate with different sets of stickers. The Wall Sticker Background Kits include five pages of original artwork on transparencies, designed to perfectly complement their line of wall stickers. There is a lot to explore on this site for the DIYer, be sure to dig deep if you go there. 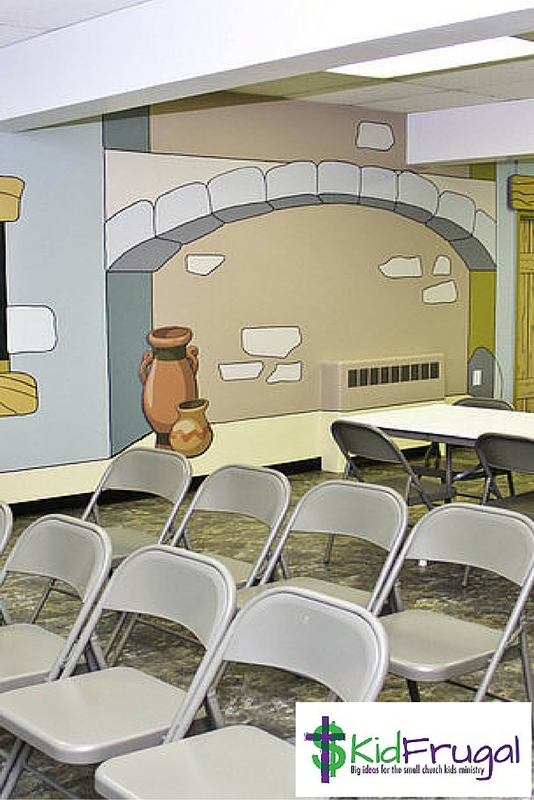 A nice thing about Creative for Kids mural kits is that they give you paint-by-number pictures for your walls, taking the guess work out of the colors. There are other companies on the web that offer wall stickers, scenes on wall paper and other means for theming an area. These are just the two I am most familiar with. Part 2 and Part 3 of this series will explore our own remodel project. 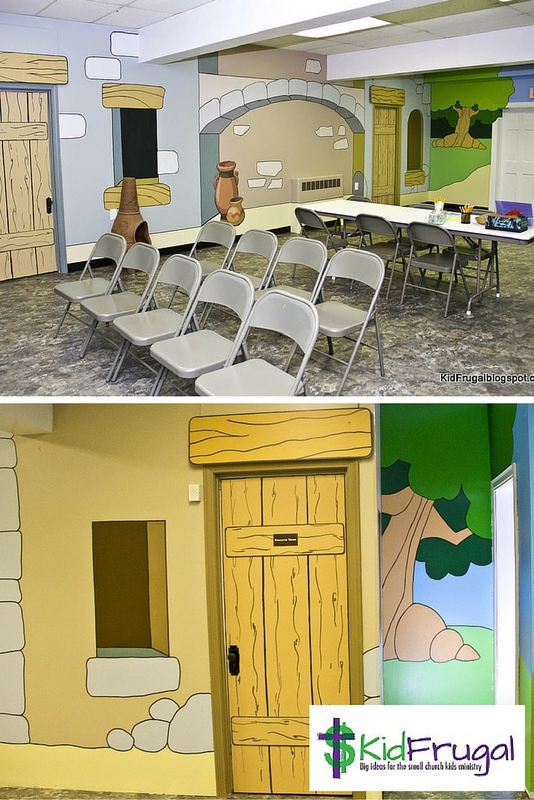 Here are some pictures of DIY projects done by other churches with kits from Creative for Kids. In my next post I will chronicle our DIY remodel in a little more detail.